Kashyap Samhita is an ancient book based on Ayurveda, which describes the Ayurvedic methods of healthy living. 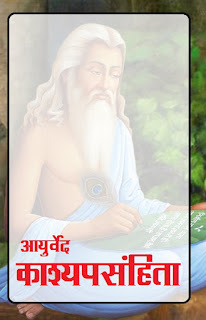 Originally this book is written in ancient language Sanskrit. Here is the Hindi translation of Kashyap Samhita which is being provided to you by Pandit Hemraj Sharma. It comes in the category of rare books. By Clicking on the link below, you can easily Download the e book's pdf version.